We found these wooden frames for $1 at Michaels. They are the perfect size and shape for two rows of bottle caps! Paint frame and allow it to dry. 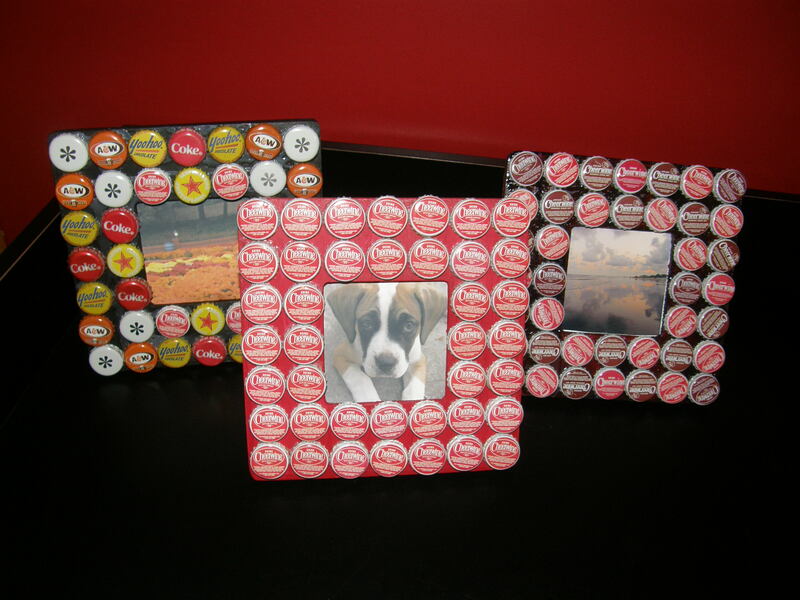 Arrange bottle caps on frame to decide on a design. 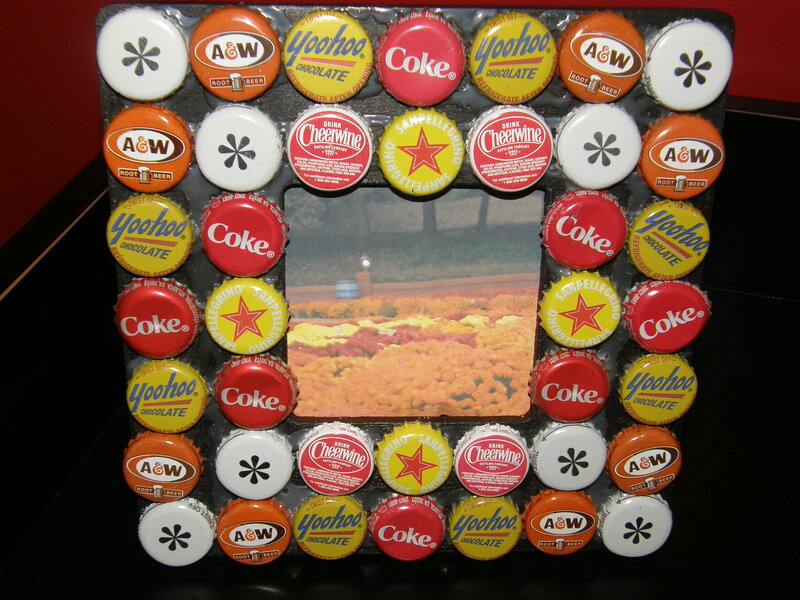 Squirt glue around rim of bottle cap and stick to frame. This was easy and fun! 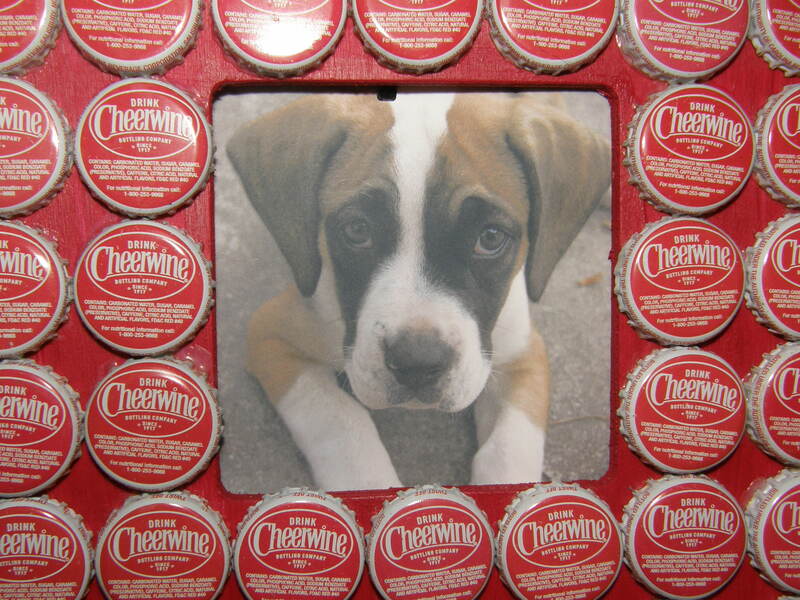 Cigar boxes are cool because they are usually made of wood, covered by paper. This makes them very sturdy. We don’t smoke cigars, but we picked up the empty boxes for fifty cents each at a store that sells them. There are so many ways to decorate these boxes that we are not going to type out a list of directions. Instead we’ll make a few comments on the boxes you see here. Then you can let your creativity run wild. 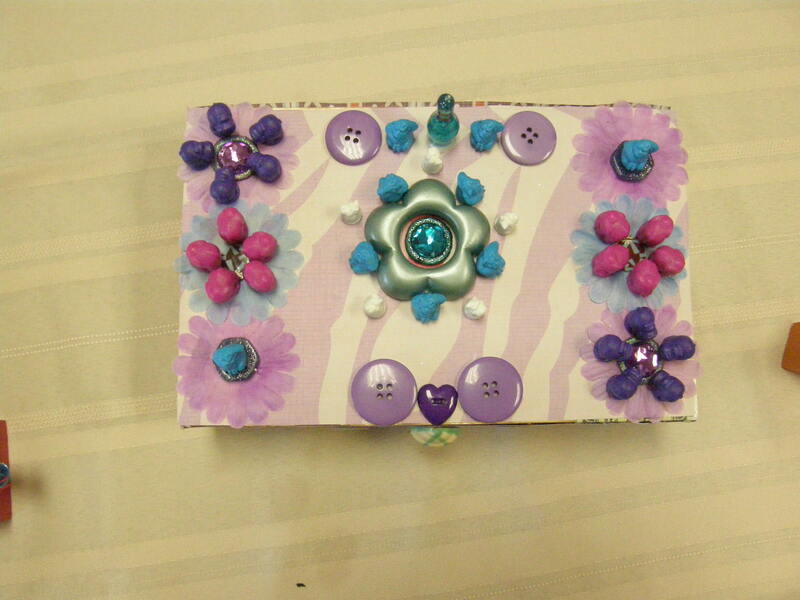 I covered the box above with a thin layer of glue and then scrapbook paper. Then I added random things we had around the house like buttons, gemstones, silk flowers and game pieces. If you look closely, you’ll see that the purple and pink flowers here are little plastic elephants and hippos that came out of a game. The boxes below are covered with fabric. 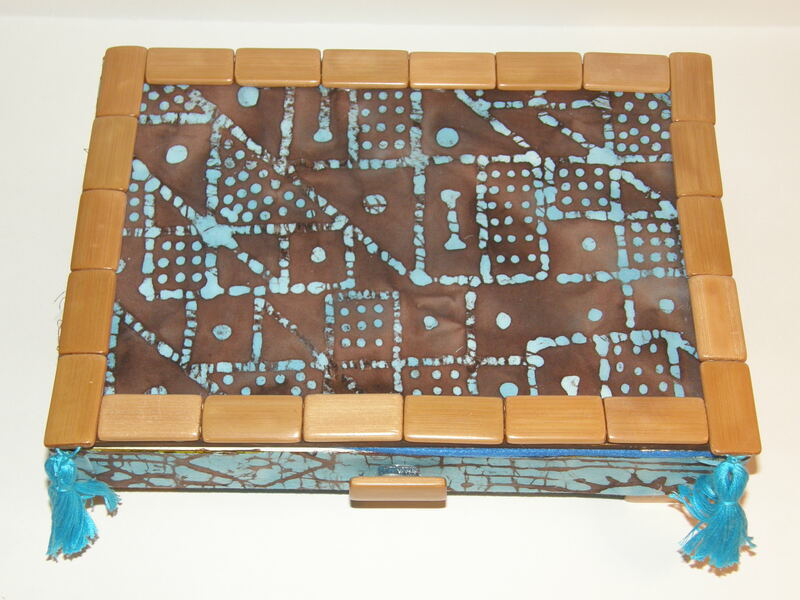 The bamboo beads around the edge came from an old bamboo placemat. The beads were also used as legs. 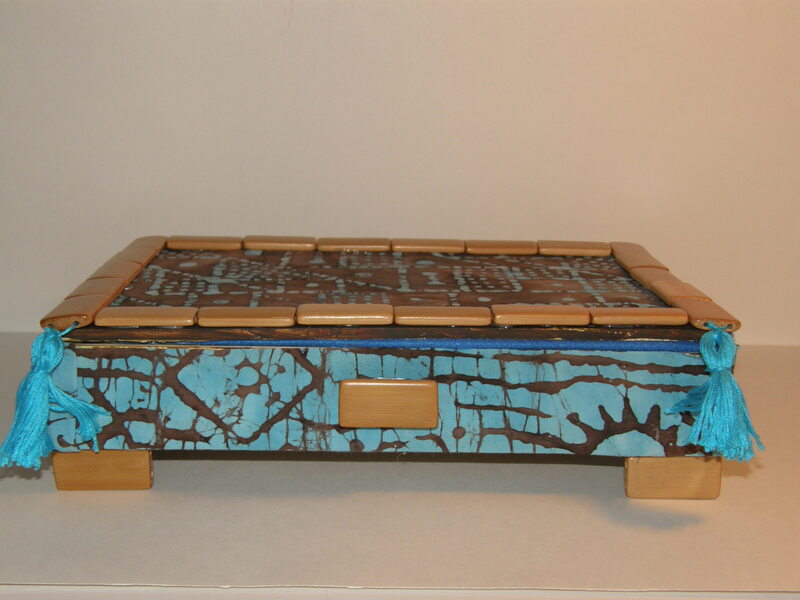 Adding legs to your box will make it look fancier and more complete. Used jewlery dresses up a box. This last box was covered with pages from an old dictionary and then coated with Modge Podge. A pin was added to the front to dress up the box. 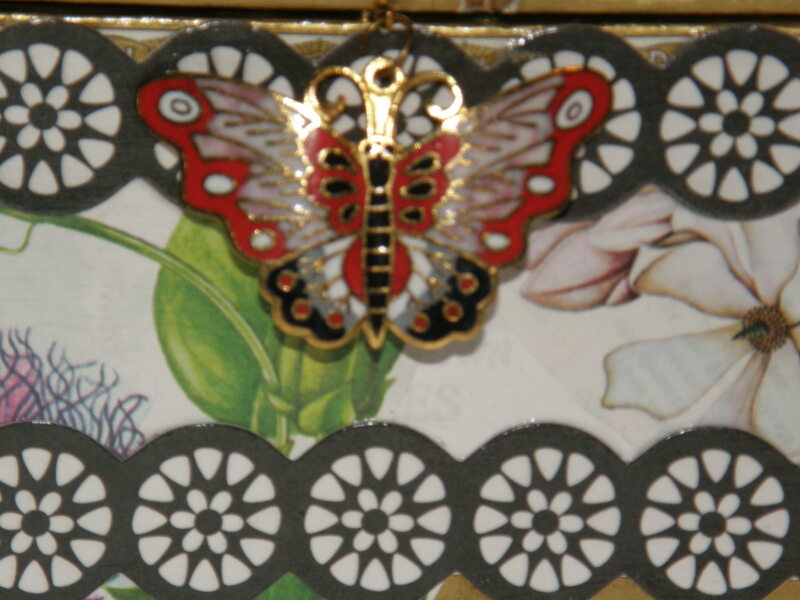 The edges are lined with scrapbook trim. 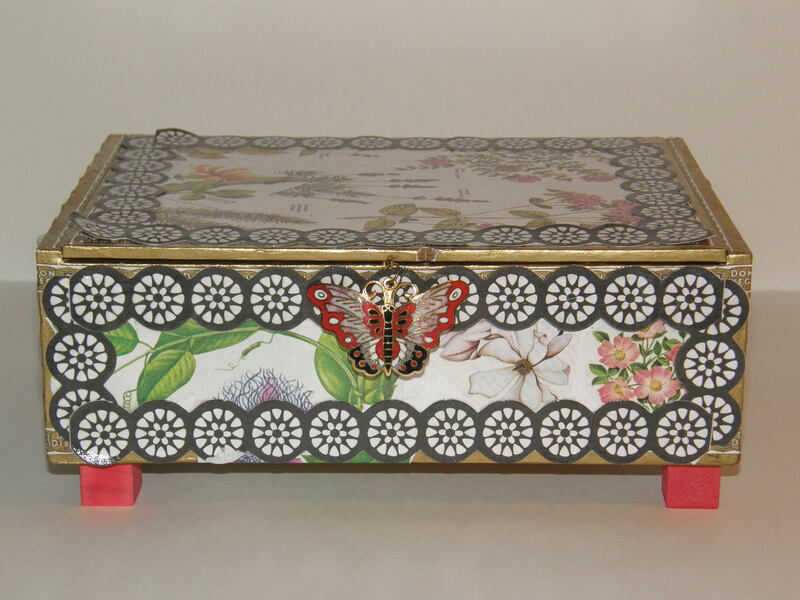 Cigar boxes come in a lot of different shapes and sizes and are fun to decorate! 1. Use Sharpies to create design on notebook. 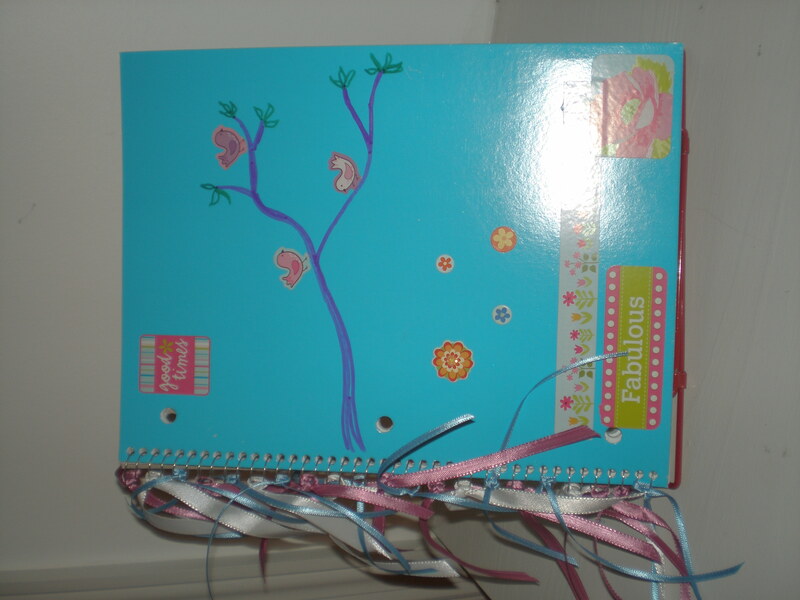 You can do this any number of ways, but to create the fringe on the blue notebook above we used 21 pieces of ribbon measuring 9 inches each. First we looped the ribbon through two rings of the spiral binder. Then we double knotted the ribbon. We went down to the next two rings and repeated the process. Repeat with same ribbon, or varied colors and widths of ribbon until all fringe runs down the entire spiral. 1. Wrap pens in green and blue painter’s tape. This worked great because the tape sticks well to the pen, but is not sticky in your hand. It is easy to cut with scissors too. 2. Use fabric glue to keep feathers and small plastic animals stuck to your pen. Heavier animals will need a “platform” to keep them balanced. The owl above is glued to a small foam square. 3. Wrapping pipe cleaners around a pen is an easy way to give it a fun new texture. We used flat, feather-shaped pipe cleaners for these pens. 4. The holes in foam beads easily expand to slide over pens. 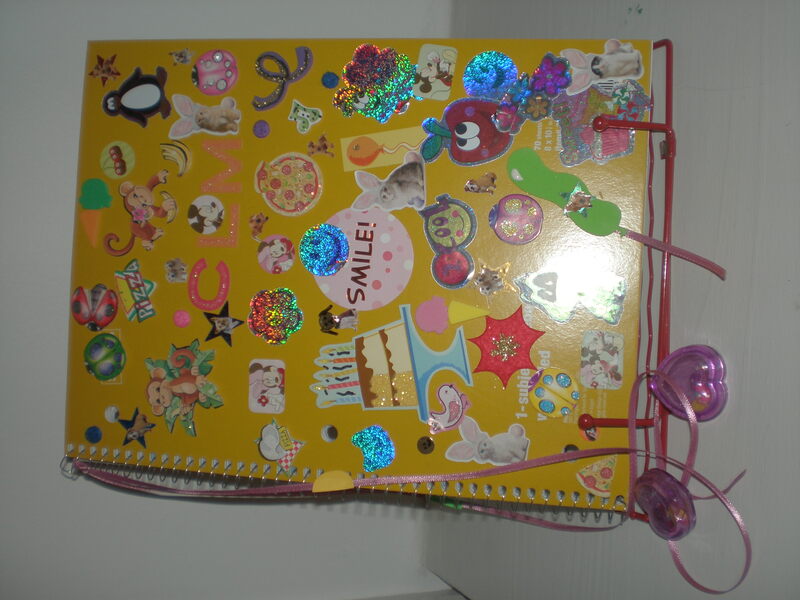 We used these on the red pen above and then topped with a pom pom.